I've done a few track days on my SDR and subsequently have decided to sell my track only R6 and just run the SDR. I'll likely get another road bike and convert the SDR to mainly track duty. Ideally, I'd like to put some race plastics on it and protect it a bit more. Does anyone know if the RC8 bodywork will work with some slight modification? I've got clip-ons already and know I'll need to change a fair bit to get it to work. So looking for any advice or suggestions. - Will RC8 fairings fit with some modification? - Will an RC8 gas tank fit an SDR? (I've got clip ons, but they are restricted with the tank protrusions. - anyone know of a place that sells plastics for the SDR? 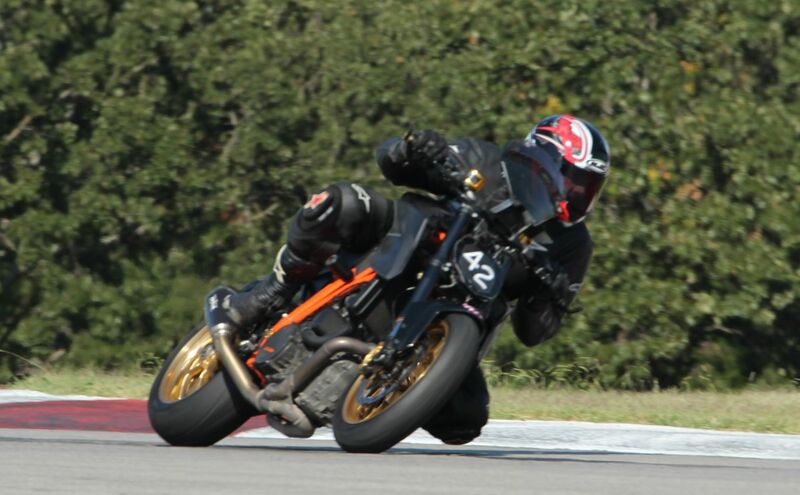 I'm not aware of anyone selling track bodywork for the 1290... Here's a thought; how about keeping the 1290 for the road and getting a less-than-immaculate RC8-R for the track? There are quite a few 1290 riders that track their bikes here. Col-Klink is a riding school instructor in the UK. The one main complaint I've heard is not having good feedback from the front end. But they were able to sort the front end with proper size springs for your weight and riding style and cartridge emulators. Oh, and a decent shock in the back you can dial to your taste. That and nice soft rubber. Don't really need to do much, if anything to the engine. Thanks all. And nice shot. Guess I’m out of luck. I’d grab and RC8 R but not many around and like the ethos’s of the SDR I have. Last fall at Hallett, near Tulsa, OK.
Love the SDR on the track. 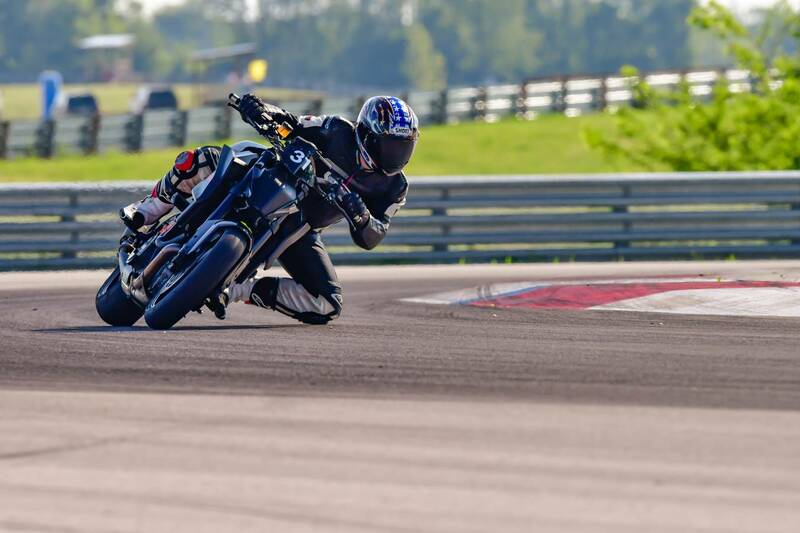 I'm never the fastest guy but it's fun to toy with the 200+hp BMW S1000RR's coming out of the corners.